All the Latin American Food gastronomy in one site, Latin American recipes, culinary institutes, Latin American ingredients, Latin American chefs, Latin American restaurantes and more. In previous months, we had the pleasure of talking with Martin Lippo, who promised us to share a typical Argentine recipe ( very representative in the latin flavors) and Martin is a man of his word 🙂 Here you have the recipe in english. I should add that this dish mainly consumed in Argentina, is very popular and can cause confusion with another only called locro. Another day we will talk about the locro eaten in Argentina, Ecuador, Peru, Bolivia and even in Colombia (in the south). Due to its characteristics, this dish is a winter special and it is best during this season ..
What do you do at the Culinary Institute of America? E.K. : I am a chef and cooking specialist, and I also do research in the CIA’s Latin Cuisine Certificate program. Why are you working there? E.K. 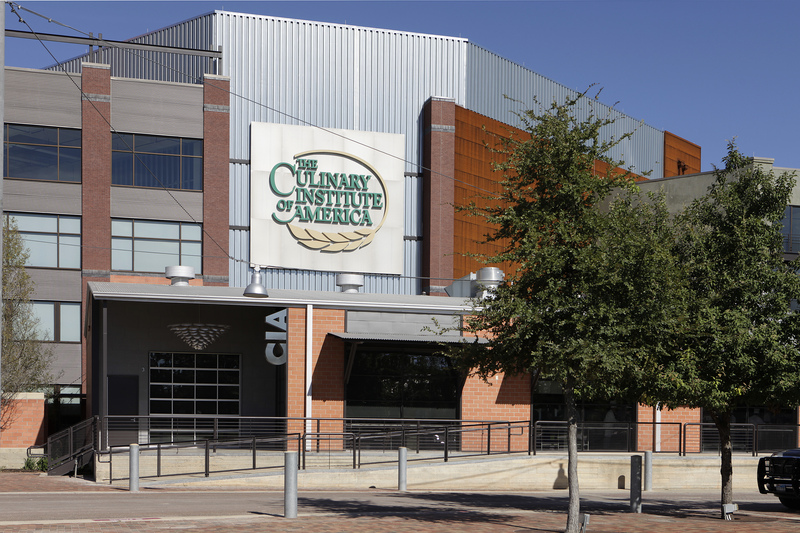 : Because 5 years ago the Culinary Institute of America contacted me to work for them in the Texas Campus, in San Antonio. They had an initiative to create a university to preserve and promote the Latin Food. In your opinion, what are the most representative countries in Latin American food? Can you explain why? E.K. : Well, I think any country in Latin America is representative. All these countries use similar ingredients and combine them in a different ways. 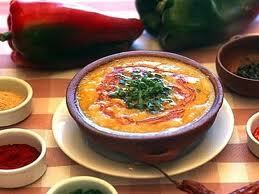 Of course, every country has its prominent ingredients and they adapt them to their own recipes. The Amazonian part of Brazil has the yucca and corn; both of which are ingredients which unite Latin America. What is so special about Latin American food? E.K. : Everything! Its ingredients, culture, nature….it’s like an addiction. What are the most common ingredients in the Latin Kitchen? E.K. : Corn, papa, chiles, beans, squash, cacao, vanilla, tomato, maní (peanut). Can you tell me why Latin American Cuisine is not as recognized as for example French Cuisine? Why is Spanish cuisine considered as part of the Latin American Cuisine, when it’s not located in Latin America? E.K. : Well, all of Latin America relates to Spain and Portugal, based on the colonization; so everybody always has some sort of special connection to Spain and Portugal. In addition, the work of chefs like Ferrán Adrià and Arzak in Spain, has really put them in front of France in my opinion – and this has happened in the last ten or fifteen years, in terms of their culinary might. Latin America, in my opinion, has been able to pull straps onto the success of Spain, because if you think about it, every time that Spain has a “Madrid Fusión” or they have “Gastronomika” and all these huge conferences, Latin America is always represented. You see Asian cuisine being represented in some, but Latin America is one of the primary players. So when you say, why people don’t think more highly of Latin American Cuisine, I’d argue that’s changing or changed depending on the audience. If you are dealing with an older generation, that´s very out of touch and only knows French cuisine and that’s all they understand, those people will only think that French cuisine is good. But younger, more educated, more progressive people understand that Latin American Cuisine is right up there. Whether we are talking about Noma in Copenhagen, El Bulli in Spain, the famous chef Heston Blumenthal, or if we are in England, France, Spain or Denmark…..they all offer some kind of Latin American food. E.K. : Yes, especially in countries like Bolivia, where there are no books or references. Mexico, Peru and Brazil are a little easier and the best way is to contact the governments. We also find information in culinary conferences that help us learn more. I think governments have a kind of a social responsibility to invest in their cultural patrimony and in my opinion the cuisine represents so much for a country; it represents culture, it represents language, it represents geography, it represents their ethno botany, it represents nature, it represents so many different things. So it varies by country, but even Argentina has made good strides to amass information about its culinary traditions although a lot of people think Argentina has only European Food. Brazil, because of its huge size and organizations like the Senac, have done a tremendous job of documenting their cuisine as have Mexico and Peru. Do you think Latin American Food is evolving? For example, is it renewing itself sufficiently and developing in more sophisticated directions? E.K. : Absolutely! Chefs who go to Europe, go back to their country and prepare new things; I think it’s evolving in the sense that the Latin American Chefs are becoming….or are falling in love with their ingredients and they’re really focusing on the ingredients that are so unique and are key to their particular cuisine. That’s one of the things that make me very happy. I think Latin chefs are starting to take all of the ingredients that come from their particular countries seriously. 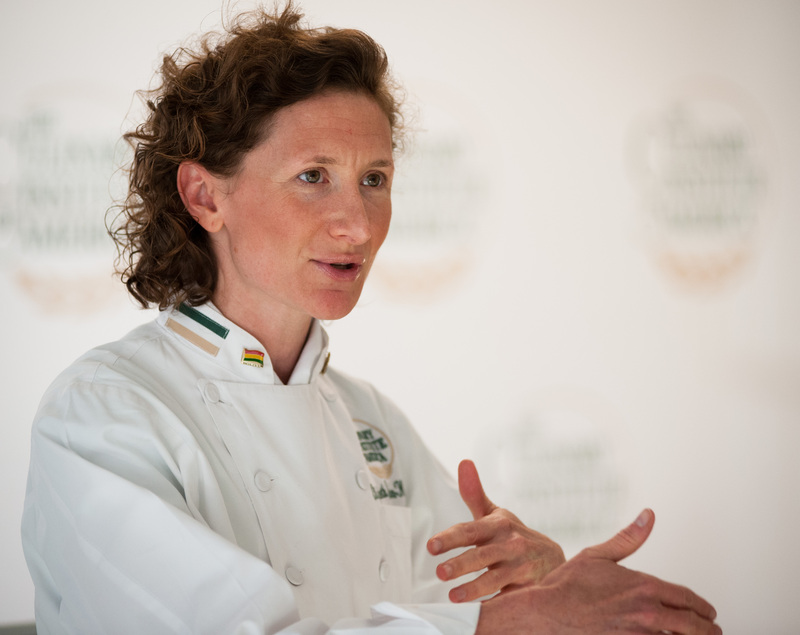 Who are the most relevant people in Latin American food? And why? E.K. : There’s kind of a little group of people that you always see at the same events, and conferences. And that will be Alex Atala from Brazil, Gastón Acurio from Peru, Enrique Olvera from Mexico, and then of course there’s a lot of other people as well within those three countries and I am not even including those who are in Chile or Argentina in that discussion; but those 3 I would say, are the leaders. You know, the three leaders of Peru, Mexico and Brazil. 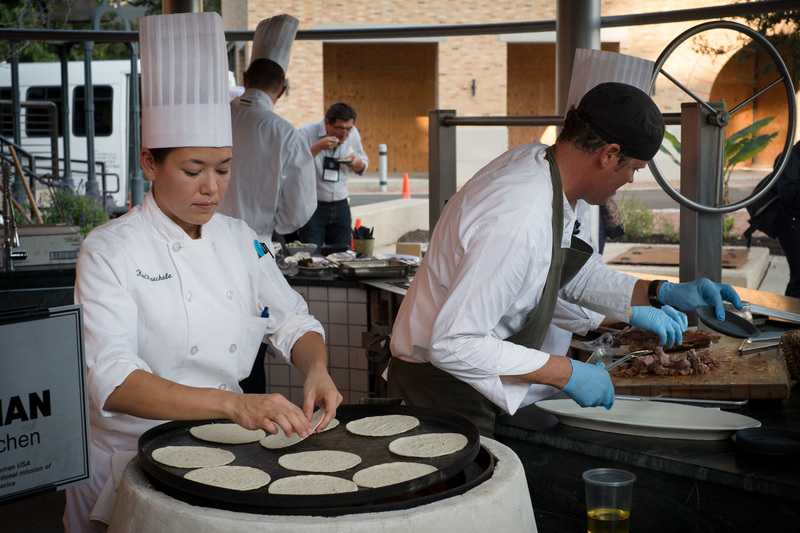 Is the Culinary Institute of America contributing to the evolution of Latin American Food? And how? E.K. : Yes, because we have people, who are creating a community around Latin American Food. We have a program, which is unique in the world and we are offering a lot of information to anyone, who is interested in this kind of food. What are your sources when studying new aspects and new developments in the Latin cuisine? E.K. : Well, we have primary sources like books, literature, pre conquest history (if we think about Mexico, for example, we have to understand what they consumed before the colonization) and the history from the “conquistadores”. There’s a lot of archeology and anthropology involved in understanding the different cuisines. You have to understand the colonial period and who the colonizers were, what ingredients they brought and what techniques they imparted, and how they fused with the indigenous and the endemic ones. And of course you are a personal correspondent of accounts; for example, if we go to Peru, Brazil or Mexico or any place in Latin America and actually talk to people making dishes that are unique or is a reinterpretation of an old dish, we become the documenters. That in itself, is a primary resource right there, in your contact and your interaction with people in a country. The cookbooks are good resources, however cookbooks are not peer reviewed. Anyone can write a cookbook without it really being disputed or “comprobado”. You have to put your reliance on the person writing the cookbook, so I think you are obliged to research that person and understand how well they understand their cuisine, before you can feel confident taking one of the recipes and using it. UNESCO is also working with Mexico and Brazil, and I think UNESCO plays a very important role in helping to further preserve a lot of the culinary traditions in Latin America. In addition, “PromPerú” is doing an amazing job and is supporting Peruvian Cuisine inside and even more so outside Peru. I don’t really see that same kind of force in Mexico or Brazil; you see that “PromPerú” is a very powerful organization and is really behind most of the Peru’s gastronomic success. Do you think it’s easier to find slow food in Latin America than in Europe? E.K. : I don’t know what it´s like in Europe, but in Latin America slow food is really important. 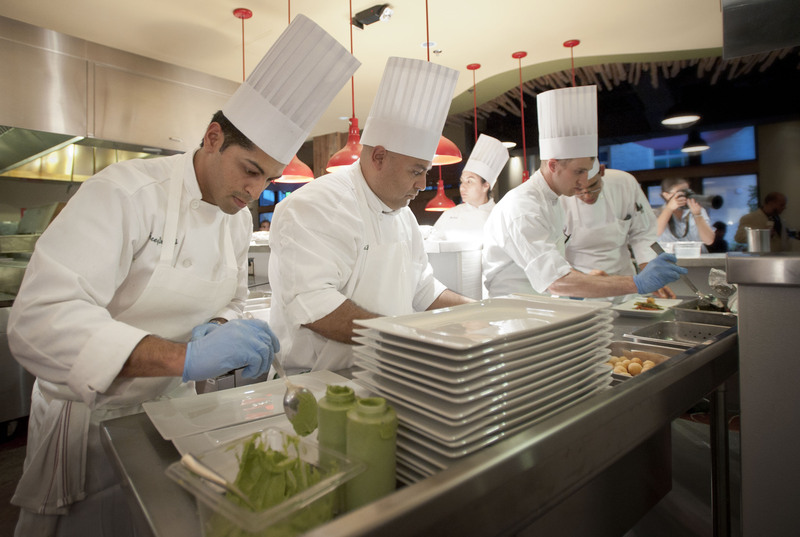 What is your advice to students who want to excel or specialize in Latin American Food? E.K. : My advice would be to study the history. If you understand the history and the culture, the cuisine will come much easier to you and you’ll have more respect for it. Then you can combine and prepare different ingredients and I think it will keep you on the right track. What can a student from Latin America learn from the Institute which they can’t learn where they already are? Ex. School, country, work, etc. E.K. : Well, what’s interesting about our program is that, if someone is from Brazil, Peru, México, or Chile, it can be very hard for him or her to find a program that focuses on all of Latin America. They might be able to find a program, which focuses on the cuisines of their particular country or the cuisines in Europe or Asia; but not on all of Latin America and I think that is what really makes us unique. On top we offer people a perspective of all Latin America and we bring chefs from all over the region to shape the curriculum. So it’s almost like we try to emerge the students in the culture, the history and even the language. So regardless of where you are from; the program becomes very unique. What is your advice to Latin American Chefs who want to become gourmet specialists in Latin Food? E.K. : I would say, learn about the ecology and be honest; really understand the plants from your area and study the ones that maybe are not even used anymore; try to rescue some of those things that might have fallen out of production. I think, as do chefs world wide, that we need to increase the amount of plant diversity and the best way to do that is by cooking with all these amazing ingredients…..ingredients which open people’s appetite and really introduce them to a whole new world of flavors. I don’t even know if I like that term “gourmet”. What would be a really progressive way of cooking in Latin America? I would say that really understanding the plant diversity from your particular region is the most important contribution that you can make to your area of culinary arts. Let’s focus on Colombia as a country. In your opinion, what are the highlights and/or major differences in the Colombian kitchen compared to other Latin American countries? E.K. : Well, I only just began studying Colombia so it is not one of my areas of expertise, but with the little that I know, I was really amazed by the geographical and ethnic diversity within Colombia. Considering the size of the country I think that it’s really amazing to see some of the parallels between Colombian Cuisine and Peruvian Cuisine – the Andean connection. The Amazonian areas of Colombia are very similar to Brazil, and I never expected that. I think that a lot of people don’t realize, the Colombia is also part of the southern Caribbean, it’s part of the Andes, and it’s part of the Amazon; so really incredibly diverse. That diversity is actually very representative of Latin America and I think people tend over simplify this. I think Colombia, in that respect, is a very good example of how complex Latin America is. I mean, who would think, you could find a country that covers the south of Caribbean, the Andes and the Amazon and has desert? It’s a very, very complex ecosystem. Who are the leading experts (chefs, journalist, critics, etc.) on this topic in/or outside Colombia? E.K. : Leonor Espinosa is one. She’s got a restaurant called “Leo cocina y cava”. There is another expert, an anthropologist, who opened a restaurant trying to offer a lot of the food in danger of becoming extinct; the restaurant is called “Quearepaenamorarte” close to Medellín. There are more but right now I do not remember. In your opinion, why is the Colombian kitchen not as recognized around the world as the Peruvian or the Mexican? E.K. : Because people only think about the civil war. The only thing people recognize about Colombia is the Guerrilla and the FARC and the country is only just starting to climb out of that. Does the Colombian cuisine have the potential to become as famous as Peruvian or Mexican? E.K. : Oh, absolutely! I think that it just a matter of time…..the other thing is that Mexico, for a long time, has really invested in its culture and patrimony. The government has written about Mexican Cuisine and about the conquistadores who gave us our codices. The same type of codices exists in Colombia. They also exist in Peru, but in Peru the government has invested in its cultural patrimony and therefore its has developed further like Mexico. They have marketed and exported Peruvian and Mexican cuisine to the rest of the world. Colombia has to do the same and it requires government assistance. I think, Colombia needs someone as charismatic as Gastón Acurio to really make it happen. We have not talked about Central American Food. Do you think there are good things coming out of that region? E.K. : Yes I do. And I think, there have always been good things coming out of Central American Cuisine, but they have been over shadowed by Mexico and again you have to understand that so much of Central America has been marginalized. We (US) have gone there with a lot of our fast food chains. I was born in Honduras, my parents still live there and every time I go there, I want to cry. As soon as I get off the plane, I look around and it’s Kentucky Fried Chicken, Pizza Hut, McDonald’s, Burger King; and the poor Hondurans have been brain washed to think that’s good! But it’s interesting that McDonald’s never made it in Bolivia and actually, my Bolivian representative lent me the documentary called “¿Por qué McDonald’s falló en Bolivia?” and it’s very interesting. It’s a surprise, a good surprise, that McDonald’s doesn’t necessarily dominate everywhere. Just like Coca-Cola could not penetrate Peru, because Inca Kola was the favorite beverage and now they are facing the same questions with Guaraná in Brazil. Honduras have their own cuisine and what you see in Honduras is basically an offshoot of the Mayan culture, which you will find going in the south of Mexico, like Yucatán, Chiapas….Chiapas used to be Guatemala and it really became part of Mexico in the last two hundred years. So there are a lot of similarities that you can draw between Chiapas Cuisine and Guatemala Cuisine, and all that, has its root or “raíz” within Mayan Culture.